Members of the Islamist-dominated upper house of the Egyptian Parliament met on Wednesday. CAIRO — President Mohamed Morsi of Egypt took responsibility on Wednesday for “mistakes” during the run-up to ratification of the new Constitution and urged Egyptians to appreciate the fierce disagreements about it as a “healthy phenomenon” of their new democracy. Tens of thousands of Coptic Christians took to the streets in the Maspero section of Cairo to protest the government’s failure to protect them from attacks on their churches. While the protests began peacefully, violence ensued after the Christians were attacked by civilians. The Egyptian military exacerbated the situation when army personnel carriers plowed through the crowds, crushing protesters as soldiers fired on unarmed civilians. I have researched and written about the toxic content of school textbooks published by the Saudi Ministry of Education for almost a decade and have found that little has changed in them over this period. Last year, I had the opportunity as a commissioner on the U.S. Commission on International Religious Freedom to travel to Riyadh and meet with the Saudi minister of education, who is King Abdullah’s nephew and son-in-law, Prince Faisal Bin Abdullah Bin Muhammad al-Saud. Waving swords and clubs, Islamist supporters of Egypt's draft constitution clashed with opponents in the Mediterranean port city of Alexandria on Friday as tempers flared on the eve of the referendum on the disputed charter — the country's worst political crisis since the ouster of Hosni Mubarak. By Ben W. Heineman Jr.
Morsi's power grab has made headlines, but the world's most populous Arab country has even bigger problems on its hands. The international media have made a huge story out of Egyptian President Mohamed Morsi's power-consolidating decrees and the balloting on his proposed constitution. How the fundamental political disputes -- between factions of the religious and secular, Islamic and Christian, and civilian and military, and between rich and poor and urban and rural -- will be resolved in the Middle East's most populous nation is seen as a harbinger for the political impact of the Arab Spring. An Egyptian atheist convicted then released from prison on bail this week told The Associated Press Wednesday that the new Islamist government is no better than the dictatorial regime it replaced. The blasphemy case against Alber Saber, 27, is seen by rights advocates as part of a campaign by Egypt's ultraconservative Islamists to curb free expression. It underlines the growing divide between the country's powerful Islamists and those who say their uncompromising approach is creating a new authoritarian system that does not represent all Egyptians. The processes of transition in the Middle East and North Africa that were kick-started by uprisings last year in Egypt, Tunisia, Libya and Yemen have been experiencing a predictably rough ride over recent months, as new administrations struggle to turn the page on past abuses and to bring in lasting changes to institutional and legislative frameworks. Minorities in these countries had hopes raised by the ousting of regimes that had subjected them to discrimination, failed to recognize their cultural rights or denied their identity altogether. However, while the diversity of those who participated in the uprisings has been celebrated, members of certain groups, including Copts in Egypt and particular Amazigh communities in Libya, have been the target of deadly attacks, leading them to be anxious about the future of ethnic and religious relations in their countries. On Saturday, the first round of voting on Egypt’s draft constitution took place in ten of the country’s 27 governorates, including Egypt’s two largest cities, the capital Cairo and the coastal town of Alexandria. Egypt’s remaining 17 governorates will vote on December 22. Coming after three weeks of mass protests against Egypt’s new Islamist President Mohamed Mursi and the ruling Muslim Brotherhood (MB), the referendum was marked by low voter turnout, violence and allegations of fraud. For years, Mohamed el-Gebba bristled under the dictates of Egyptâ€™s Muslim Brotherhood, the secretive and hierarchical organisation he had embraced as a teenager, only to be told by his elders that it could not emerge as either a real political party or a bona fide charity under the rule of Hosni Mubarak. But even after Mr Mubarak was overthrown in last yearâ€™s revolution, Mr Gebba said, he found the Brotherhood refused to open up and, in many ways, became less transparent once it began to acquire real political power. 4 peaceful demonstrators died around Ithadia "Arabic"
أكد الدكتور محمد سلطان رئيس هيئة الإسعاف المصرية أن عدد ضحايا الاشتباكات الدائرة في محيط قصر الاتحادية الرئاسي الذين نقلتهم سيارات الإسعاف بلغ حتى الآن 3 قتلى و346 مصابا، إلا أن الدكتور ميلاد إسماعيل مدير مستشفى منشية البكري صرح بأن المستشفى استقبل في الساعات الأولى من فجر اليوم الخميس جثة لشاب يدعى هاني سند الإمام (32 سنة) من محافظة الدقهلية توفي إثر إصابته بطلق خرطوش في الصدر بالقرب من القلب، ليرتفع بذلك عدد القتلى إلى أربعة. Read more: 4 peaceful demonstrators died around Ithadia "Arabic"
I write these words while surrounded by hundreds of thousands of the sons and daughters of Egypt in one of today's demonstrations (in Tahrir Square, the Abbasia square and Heliopolis). The demonstrators' loud voice says "no" to the Ikhwan's attempt to sallow the Egyptian state, and says "no" to the Constitutional declaration of November 22nd that combined the legislative, executive and judicial powers in Morsi's hands. While congregants days ago in front of Cairo university represented nothing but a set of 7th century (AD) values, today's crowds were combined of the best sons and daughters of Egypt. On Tuesday (27 November) I realized that the spirit of Egypt did not die. Today, I realized that the rule of the Muslim Brotherhood (that started five months ago) would soon vanish. What has gone wrong? The army, keen to protect its perks and to avoid prosecution, botched the post-revolutionary transition. It allowed the Muslim Brotherhood, eager to take advantage of its 80-year-old field organisation, to rush parliamentary elections. The outcome was a landslide victory for the Islamists, far beyond their real power base. The constitutional court, after review, dissolved this non-representative parliament. Anonymous can not, and will not stand idly while people are being denied their basic rights and human liberties. The people of Egypt have shown to the world the power of their struggle. Indeed they could force the ex-president, Mubarak, to step aside, and also force the ruling generals to conduct the sought elections, yielding the current president of Egypt, Dr. Muhammad Morsi. However, Dr. Morsi has repeatedly shown how lack of care about the core values of democracy. Through elections he has reached to power because the people had to choose between him and the old regime. But now, Dr. Morsi is gradually grasping more and more authoritarian powers in his hands, attacking the whole concept of democracy. His latest constitutional declaration has given him the powers of a pharaoh and appointing him as the new God of Egypt. THE bespectacled Mohamed ElBaradei is a serious man with a pile of degrees in constitutional law and a Nobel Prize for running the UN’s nuclear agency. Last winter he warned of grave trouble if his country elected a president before defining the powers of the office in a new constitution. The generals in charge of post-revolutionary Egypt failed to listen. That is something many Egyptians will now deeply regret. Muhammad Morsi, the Muslim Brother and winner of presidential elections in June, shocked the country by issuing a decree that assumes vastly widened powers for his office, including virtual immunity against judicial oversight. He then ordered the assembly that is drawing up the country’s new constitution to cram a month’s work into a single day—so as to produce a draft on November 29th, ready for a referendum in mid-December. All this has met with furious protests. The courts have gone on strike and demonstrators have taken to the streets in numbers not seen since last year’s revolution. Over the past 24 hours Western channels have been repeatedly saying that Egypt's Muslim Brotherhood President Mohammed Morsy has "agreed to limit|" his news powers. This is simply untrue. Not even by a long shot. Morsy gave himselfunprecedented powers over the past few days resulting in demonstrations and clashes that killed two young Egyptians. Morsy is now the absolute ruler of Egypt supported, once again, by the US government and media channels. Previously Morsy's blind support came from Al Jazeera Arabic but we are now seeing Western media being complicit in the same folly. Egypt's leader has, according to a reasonable majority of international opinion, had a bad fortnight. Speaking to those around Tahrir Square, the New Yorker's Peter Hessler finds a young, eager, and frustrated population confronting the dashed hopes of the Arab Spring - and profoundly disappointed at the failures of the country's nascent democracy. Protests against the president's decision have continued in Cairo, while the Muslim Brotherhood is planning rallies backing him later. Trading was suspended for 30 minutes as shares slumped in the first session since the president's announcement. But the slide continued as soon as share dealing resumed. CAIRO, November 16, 2012 - On Sunday November 4th, 2 012 at Saint Mark's Cathedral in Abbassiya ,Cairo, Egypt’s Coptic Christian Church elected a new pope to succeed the late Pope Senouda III. Pope Tawadros II who will be ordained November 18th, 2012 was appointed lead the community through a critical time, as Copts worry over the intentions of the Islamic government and seek to forge a new relationship with their Church. Pope Tawadros II, a 60 years old former pharmacist who became the auxiliary to the acting head of the Coptic Church and a monk from Alexandria, was chosen in a ceremony where a blindfolded child put his hand into a chalice and took out his name. Valley, was the target of a failed assassination attempt as she rode the school bus home. According to local police officials, two Taliban gunmen stopped and boarded the bus where they asked for Malala by name. One of them shot her twice in the head and then both fled the scene. The Pakistani Taliban movement, Tehrik-e-Taliban, claimed responsibility for the shooting, which they said was to stop her and others like her from campaigning for girls' education. After a long history of persecution as a minority in Egypt, in these days the nonetheless resilient Copts face a dire moment. The ominously Sharia-leaning Muslim Brotherhood government of Egypt, headed by President Mohammed Morsi, has taken over the country from the oppressive - but slightly more tolerant - Mubarak regime. Adding to this crisis is the absence of spiritual and political leadership for the 18 million-strong Coptic community, namely a Pope. The church is still in the throes of a longstanding selection process to name a new spiritual head to permanently replace the interim administrator, a bishop, who has been the caretaker leader since the death of Pope Shenuda III earlier this year. LAST Friday a big crowd filled much of Cairo’s Tahrir Square to call for strict imposition of shari’a law. The mostly cheerful protesters, many of them bearded or fully veiled and bussed in from the provinces, want Egypt’s under-construction constitution to declare the country an Islamic state, based on divinely revealed rather than man-made laws. Such demands are not new, but the debate over relations between religion and state had been muted during Egypt’s six decades of gloved military dictatorship. It is now, testily, out in the open. Puritanical Salafists denounce their detractors as secular "extremists", foreign agents or infidels. But plenty of Egyptians, among them pious Muslims, doubt the wisdom or practicality of using shari’a, a scanty and contested body of divine or long-sanctified rulings, to order the complexities of modern life. To them, the hard-core Islamists are simply a dangerous and uncouth rabble. Many Egyptians are now ruing the day they toppled Mubarak, life in Egypt has gone from bad to catastrophic. 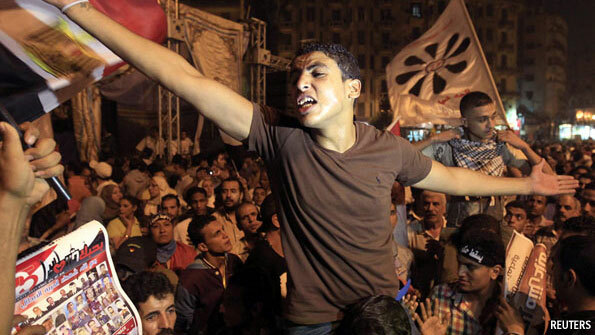 The Egyptian revolution was sparked by the brutal killing of one young man by Egyptian police. Under the rule of Morsi and the radical Islamists “the brotherhood” it has changed, the change has been a dramatic escalation of police brutality predominantly dished out against those that oppose Morsi and the Brotherhood. CHARLOTTE, November 9, 2012 – With the re-election of Barack Obama, the world has suddenly become a more dangerous place. Most Americans do not even know it. The candy store owner is handing out free goodies to unsuspecting and unconcerned masses while buildings just down the street are surrounded in flames. Following the president’s Benghazi cover-up combined with the media’s refusal to report details of the terrorist attack in Libya, there can be little doubt about the enormity of American apathy for events in the Middle East. Apathy that will most assuredly increase Islamic radicalism. As al-Qaida leader Ayman al-Zawahiri calls for renewed protests against the U.S. and Israel in the wake of reaction to the film about Mohammed, it is the ancient Christian community of Egypt, the Copts, who are in the greatest immediate danger. Ashraf Ramelah, a Coptic leader, describes how Copts are dealing with the new Islamist reality in Egypt. After a long history of persecution as a minority in Egypt, in these days the nonetheless resilient Copts face a dire moment. The ominously Sharia-leaning Muslim Brotherhood government of Egypt, headed by President Mohammed Morsi, has taken over the country from the oppressive - but slightly more tolerant - Mubarak regime. Adding to this crisis is the absence of spiritual and political leadership for the 18 million-strong Coptic community, namely a Pope. The church is still in the throes of a longstanding selection process to name a new spiritual head to permanently replace the interim administrator, a bishop, who has been the caretaker leader since the death of Pope Shenuda III earlier this year. The aftermath of collective punishment for Pakistan's Christians—the inevitable byproduct of the notorious Rimsha Masih blasphemy case, concerning a Christian girl falsely accused of desecrating a Quran—was more dramatic than the blasphemy case itself. Indeed, knowing what was in store for them, some Christians even held a symbolic funeral procession, carrying a Christian leader in a coffin and digging a grave for the "deceased." Their morbid predictions proved too true—especially after another pretext for Muslims to riot emerged: the Youtube Muhammad movie. After Friday prayers, Muslims attacked, killed, and robbed the Christians in their midst, who account for a miniscule 1.5% of Pakistan's population. St. Paul's Church in Mardan was attacked by hundreds of Muslims armed with clubs and sticks. After looting and desecrating it, they set the church on fire (see picture here). 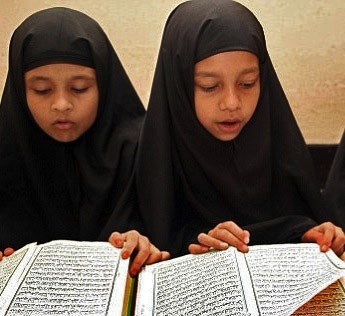 Next Muslims raided a nearby church-run school, looting and torching it as well, and burning down a library containing more than 3,000 Christian books. Although the library also contained thousands of books on Islam—making the Muslim mobs' actions blasphemous under Pakistan's law—"the attack continued for more than three hours, with minimal efforts by the authorities to stop it." As Egypt’s liberal and secular activists erupted with anger accusing the Muslim Brotherhood of trying to take over the country, former US Senate foreign policy analyst James Jatras tells RT that Egypt is on its way to becoming a caliphate. ­“Morsi and the Brotherhood had triumphed much quicker than anybody expected, and no one should doubt what their intentions are: strict enforcement of Sharia and the recreation of the caliphate,” Jatras says. 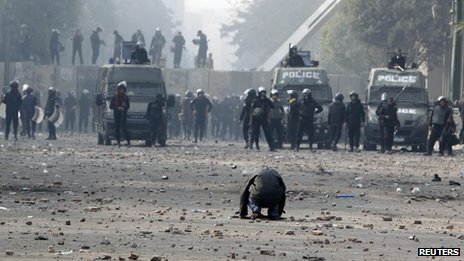 RT: Friday showed that Egypt is far from calm. 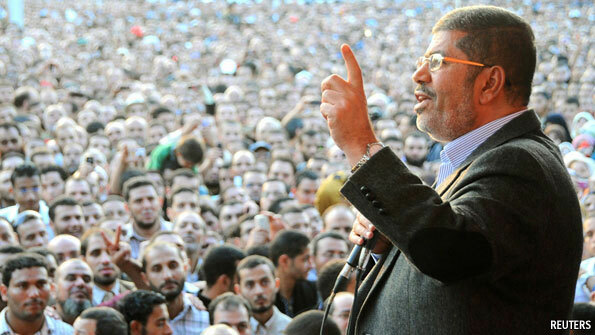 What does it tell us about the results of President Morsi's first 100 days in office? 51 articles by Tarek Heggy on Religion & Politics in the Middle East. Read more: 51 articles by Tarek Heggy on Religion & Politics in the Middle East. 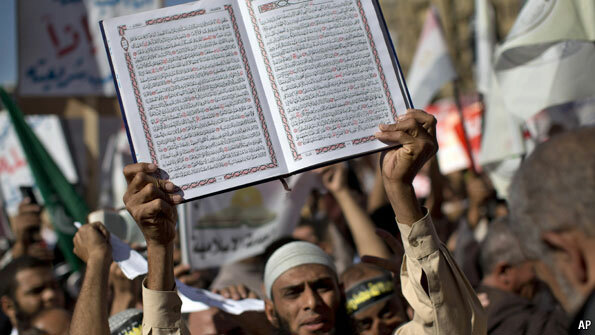 CAIRO—The advocacy group Human Rights Watch on Monday criticized the latest draft of Egypt's new constitution as offering inadequate protections for minorities and personal freedoms. The 2,700-word complaint comes one day before a court is expected to rule on the constituent assembly's legitimacy. The committee may meet the same fate as the parliament that nominated it—when a high court ruled in May that it was unconstitutional. The assembly has been hobbled by an ideological divide between secular-minded delegates and Islamists. The New York based organization urged members of the 100-seat assembly to amend the Sept. 27 draft document that would entrust religious institutions to vet legislation based on Islamic law, condition women's rights on religious interpretation, exclude language meant to criminalize human trafficking and allow only a narrow definition of police torture. Some delegates expect the document to be completed as soon as next week. Sunday, God choose a new Pope for the Copts in Egypt, and the next day it was revealed that God also choose a new Leader for Egypt and the Egyptians, Men and Women, Moslems and Copts. 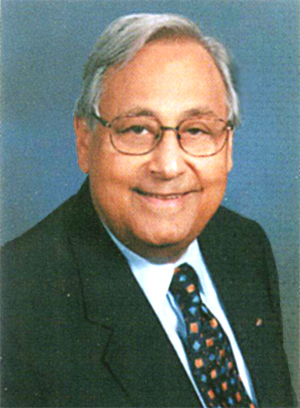 The very next day Pope Tawadrous II spoke against the Islamization of Egypt. No man will affect the directions in egypt more than Pope Tawadrous II, no man will neutralize the effects of the Islamists and the Moslem Brotherhood more than Pope Tawadrous II, no man will be more effective to influence and correct this dangerous and destructive constitution more than Pope Tawadrous II, and no man will fight for the legimate human rights of minorities more than Pope Tawadrous II. Pope Tawadrous II needs us the people who are calling for democracy, civil rights, human rights, and sacred equality for all the Egyptians, Men and Women, Moslems and Copts. We must rally for him, support him, send him our voices and demands for the better Egypt we all need, want, asking for and dream of. 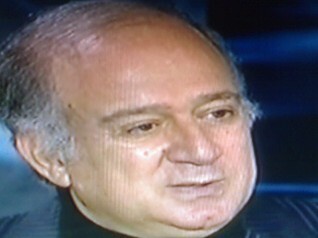 Pope Tawadrous II will deliver. That is why God choose him. 40 Parties and movements threaten to go ICC "Arabic"
هدد ممثلو ٤٠ حركة وحزباً، وعدد من أسر شهداء ماسبيرو، أمس بـ«تدويل» قضية قتل « ثوار ماسبيرو» أمام المحكمة الجنائية الدولية، ضد كل من المشير حسين طنطاوى، رئيس المجلس الأعلى للقوات المسلحة السابق، والفريق سامى عنان، رئيس الأركان، وحسن الروينى، قائد المنطقة العسكرية، وحمدى بدين، مدير إدارة الشرطة العسكرية، بتهمة التورط فى قتل المدنيين فى «مذبحة ماسبيرو». وقالوا خلال مؤتمر عُقد بساقية الصاوى، أمس، إنهم سيقدمون بلاغاً اليوم ضد قادة «المجلس العسكرى» بتهمة قتل والشروع فى قتل المتظاهرين السلميين. The new draft of the Egyptian Constitution reminds me of the National Geographic in which after you see a creature handled by the rest in the “Wild Kingdom” it becomes unrecognizable any more. I wrote, in the past, that Egypt is not ready yet to write a new Constitution. I argued that a chosen handful of Egyptian scholars, noted for their competence and knowledge, write a “Bill of Rights” that applies to ALL Egyptians, and that Egypt can live for now with its flawed amended 1971 Constitution until the informed Egyptians appreciate a new one that will affect the lives of future generations. I was hopeful that humanity could prevail over the deadly consequences of religious fervor. This draft is flawed and should never be ratified. The Elephant in the Glass' Shop. When the masses in several Muslim societies furiously (and sometimes, violently) reacted to a film that was produced about Prophet Muhamed, several leaders of a number of Muslim societies wanted the UN to adopt an agreement that bans "humiliations" to the sacred persona and scripts, a call that many see reflects an absolute negation to the basis of western civilization. Read more: The Elephant in the Glass' Shop. The Arab Republic of Egypt is an independent unified and sovereign State that shall not accept division. The Republic enjoys a democratic system of government. The Egyptian people are part of the Arab and Islamic nation and are proud to belong to the Nile Basin and Africa and of its connections to Asia, and contribute positively to human civilization. It forgot to mention that they are ahsan nas and that their hair smells really good. I wish I had time for more serious commentary — the bits where it contradicts itself, the runway conservative populism, and many grey areas — but I simply don't. Update: The Atlantic Council's Egypt Source has an alternative translation. Is Obama Blind To The Danger Of Radical Islam? We are still puzzling over the meaning of President Barack Obama’s speech to the U.N. General Assembly – can Obama truly be that blind to the danger of radical Islam? We already noted how Obama walked away from the foreign policy of every president since FDR to embrace a new moral equivalence between attackers and those being attacked – if the attackers are Muslims, that is. One could make the argument that such a policy amounts to non-intervention and is a positive break with the neo-con idea that we ought to remake the world in our image. While we are inclined toward non-intervention, we think that is a mistake. Read more: Is Obama Blind To The Danger Of Radical Islam? Until a couple of years ago, and for many years before that, I was of the opinion that directing any criticism at certain aspects of Islamic ideas, texts or personalities would cause us, the advocates of modernity, to alienate some or most of those we were trying to help draw out of the quagmire of primitiveness and backwardness in which they were trapped. Today I must admit I was wrong. Although I expressed this opinion repeatedly in all good faith, the events that have unfolded in the Arab world over the last two years have forced me to revise my view and to conclude that I was mistaken. Science teaches us not to exempt any subject, person or idea from scrutiny and criticism. Thus I have come to realize that my belief in the need to keep certain areas of the Islamic experience outside the scope of critical thinking – a belief based on purely pragmatic reasons – did not, as I had once thought, serve any useful purpose. Prior to leaving Egypt for the United Nations General Assembly, Egypt's Islamist President Mohamed Morsi told The New York Times the United States needs to "fundamentally change" its approach to the Arab world. That includes, he said, showing greater respect for Arab values, as well as helping to build a Palestinian state. Read more: Who Needs Reform Most: Egypt or America? AFTER six decades of military dictatorship, Egypt sorely needs a constitution to set it on the path to democracy. So far the post-revolutionary establishment, dominated by the Islamists of the Muslim Brotherhood and Muhammad Morsi, their new president, has been making a hash of it. Mr Morsi needs to reassure Egyptians of all religious and ideological stripes that they will be governed by a set of rules everyone can respect. Until then, Egypt will fail to cope with its many economic and social difficulties, let alone its political ones. Egypt has 85m people, making it by far the most populous country in the Arab world. It is squandering the chance to become a constitutional model for the entire region.